The Cosmos certainly will have an El Salvadoran flavor this season. 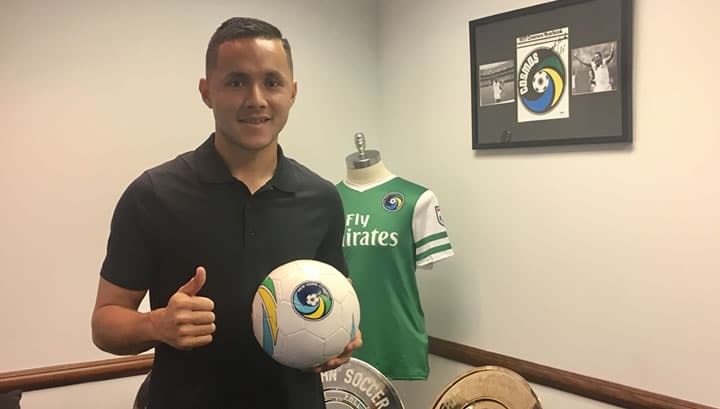 The two-time defending North American Soccer League champions added their third player from the El Salvador national side Thursday, signing midfielder Richard Menjivar to a contract. The 26-year-old Menjivar joined Andres Flores, the El Salvadoran captain, and Irvin Herrera on the team. As per club policy, terms were not disclosed. Flores, Herrera and Menjivar helped El Salvador to a third-place finish in 2017 Copa Centroamericana while qualifying for the 2017 CONCACAF Gold Cup. Menjivar has made 36 international appearances and scored once. A native of Panorama City, Calif. Menjivar has played with four NASL teams. He started with the Atlanta Silverbacks, making 22 appearances and being named to the NASL Best XI in 2013. The Silverbacks reached Soccer Bowl, losing to the Cosmos. He went onto play with the San Antonio Scorpions in the 2014-15 seasons, winning the NASL crown in the latter year, before joining the Tampa Bay Rowdies in 2015. He played for Rayo OKC last year. Menjivar played for the U.S. Under-18 national team before deciding to join the El Salvador national side for the 2013 Copa Centroamericana. He also played in the 2014 and 2017 editions and in the 2013 and 2015 CONCACAF Gold Cups. 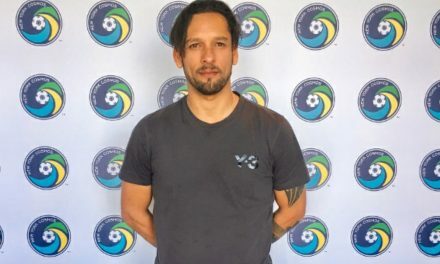 He became the 14th player to sign with the Cosmos since new majority owner Rocco B. Commisso resurrected the team last month, giving the squad 17 roster players. Returnees included defenders Carlos Mendes, Ayoze, Jimmy Mulligan and Alexis Velela, midfielders Walter Restrepo, Andres Flores, Danny Szetela and Andrea Mancini and goalkeepers Jimmy Maurer, Kyle Zobeck and Brian Holt. 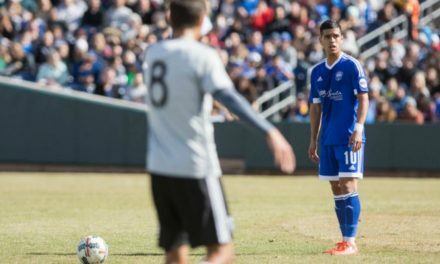 Venezuelan international midfielder Juan Guerra and El Salvadoran international striker Irvin Herrera, who is on loan from Saint Louis (United Soccer League) also have joined the club. Only three players remained with the team after the rest of the squad was released late last year. They were defender David Ochieng, defender Ryan Richter, who converted the game-winning penalty kick in the shootout to clinch the NASL title for the Cosmos, and Eric Carvilho.